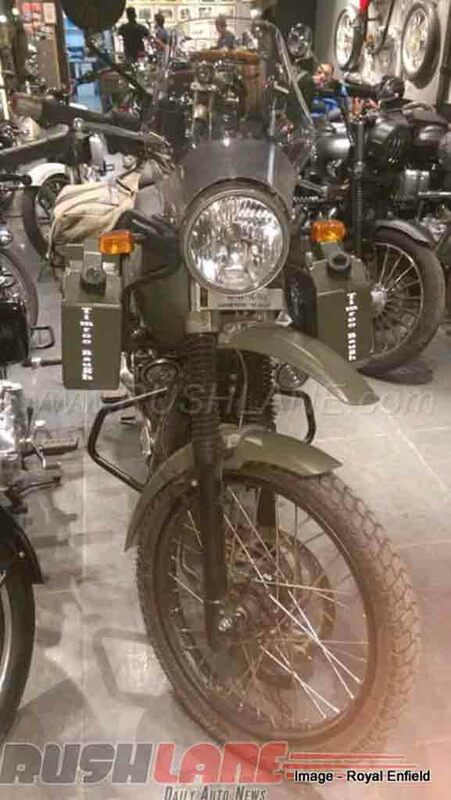 Royal Enfield has given the Himalayan two attractive shades of paint job that are battle Green and Army Green. 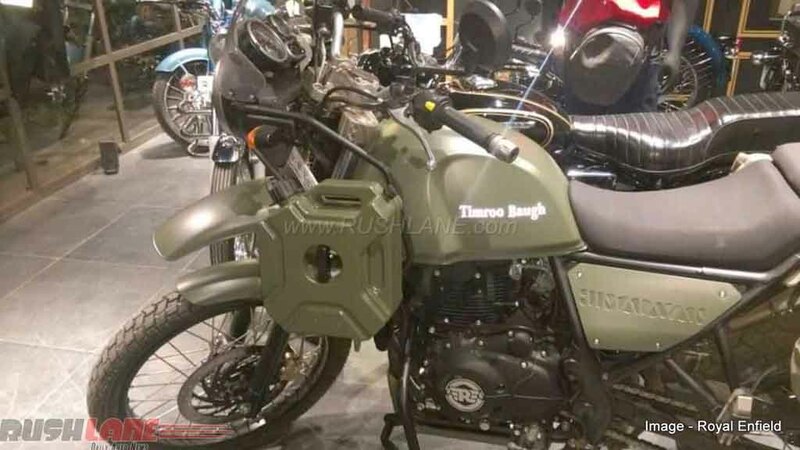 The two motorcycles come with several accessories fitted to them and they were spotted at an authorized Royal Enfield showroom. 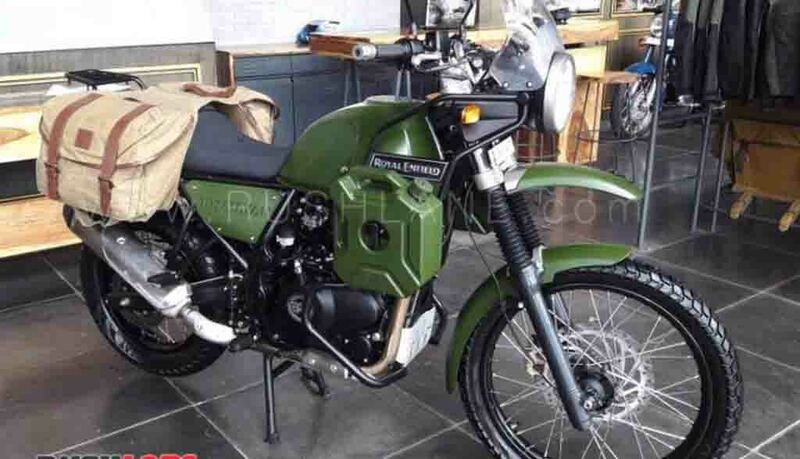 As it appears, the Battle Green painted model is not a company product considering the fact that the Chennai based motorcycle maker cannot sell the particular colour to common people. 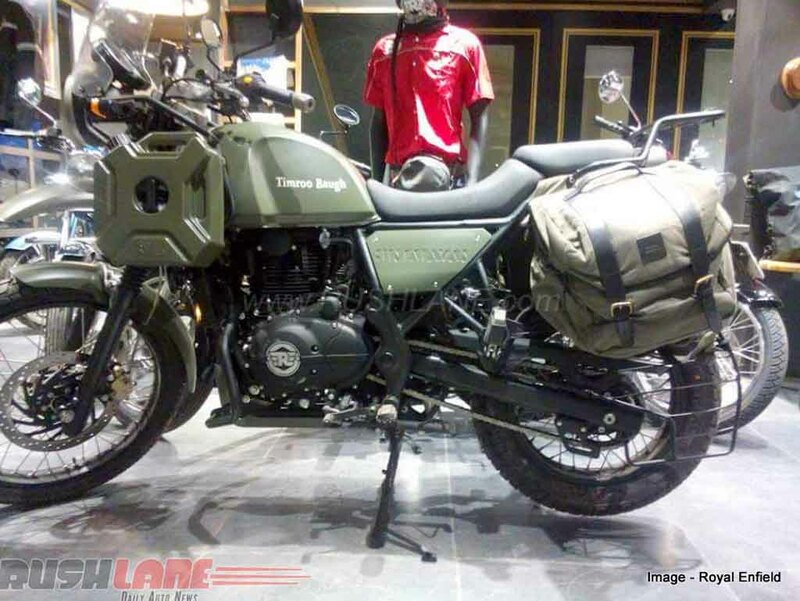 The Army Green painted model is likely a company product and this is the third colour option for the adventure oriented motorcycle alongside White and Black. 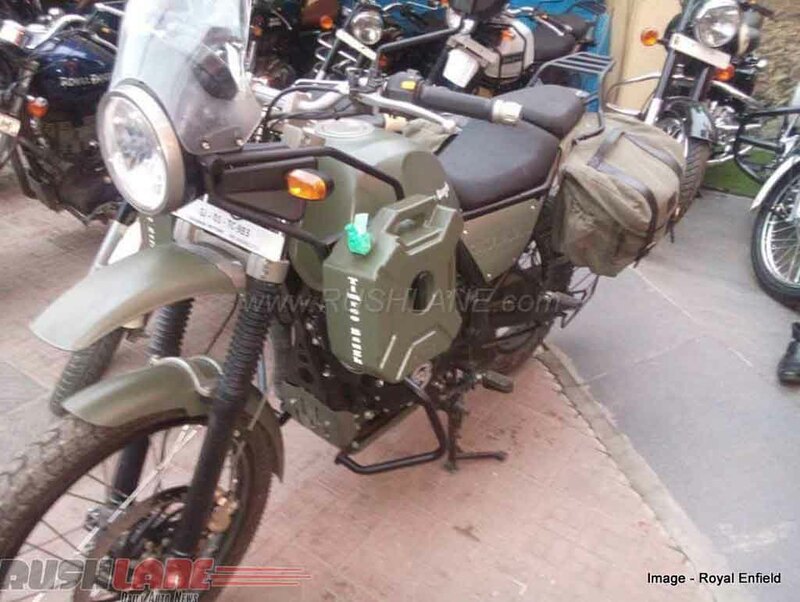 It gets jerry cans on each side fitted to the leg guards and green coloured canvas panniers with leather strap. 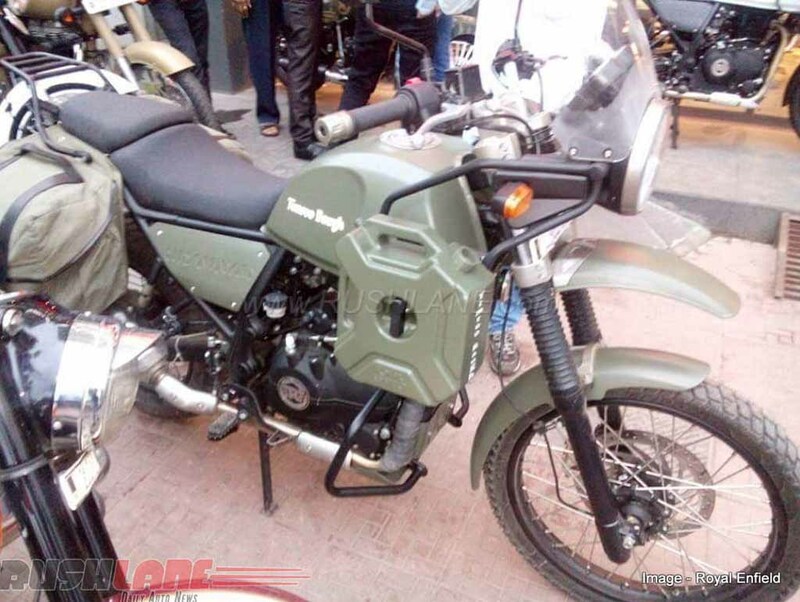 Royal Enfield Himalayan is the latest product from the motorcycle maker. It is built on a chassis from Harris Performance. It gets a round shaped powerful headlamp, analog dial and digital display consisting instrument cluster. Its 14-litre capacity fuel tank ensures the motorcycle runs a long range without refueling. It runs on 21-inch front multi-spoke wheel and 17-inch rear multi-spoke wheel wrapped with dual-purpose tyres. Power source for the Royal Enfield Himalayan is a 411 cc engine coupled with a 5-speed transmission. This engine is capable of churning out 24.50 bhp of peak power at 6,500 rpm and 32 Nm of peak torque at 4,500 rpm. The motorcycle offers 32 kmpl of fuel efficiency. Currently, the company is introducing the fuel injection technology to the motorcycle and updating the motor to BS-IV emission norm compliance. Updated model is expected to hit the market later this year. 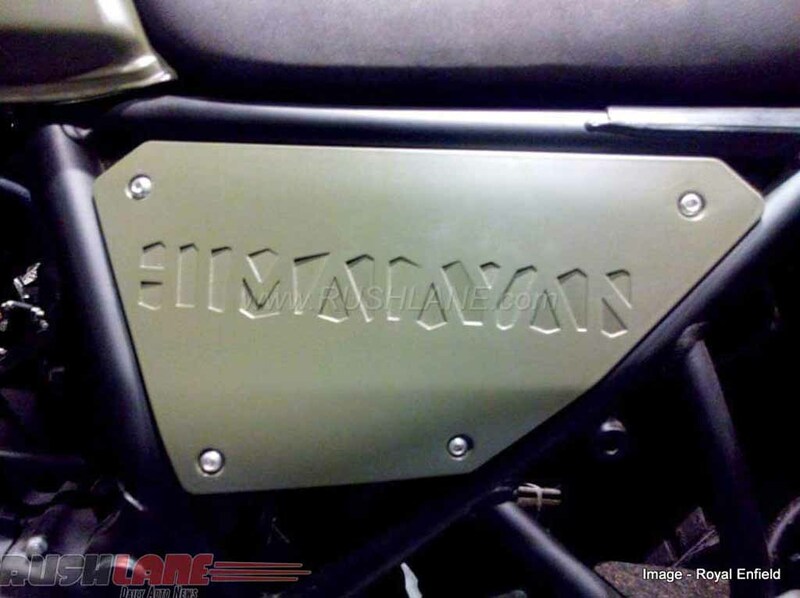 Also, the motorcycle maker is working on a more powerful variant of the Himalayan that will be powered by a 750 cc engine. This same engine generates power for the upcoming Royal Enfield Continental GT 750. This model is going to be the flagship product from the brand upon its launch.